I went to the BFI on the London South Bank today to see the graduate animated films from this finishing year. I want to extend my congratulations to all of the finishing third years, as well as all those people who contributed to the films. They looked fantastic, and it's always inspirational and amazing to see how those ideas begin and appear at their inception, and what they grow to become on a cinema screen. Bravo! My friend Mark and I also attended the BP Portrait Awards. 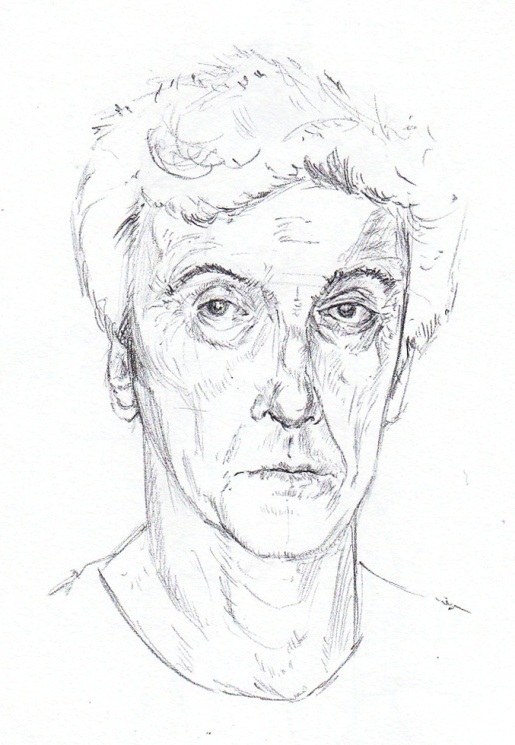 I really enjoyed sketching one of the renditions of Peter Capaldi by Daniel Fooks. The inspiration for this piece came from a fantastic documentary on Scottish painting presented by Capaldi, which had given me a similar desire to contact the man. Thought this would be some apt fan art seeing as my last two posts highlight a need to improve at Photoshop, rendering and armour. Thought I would try a self portrait in Photoshop today. Tough to get started, but things 'went better than expected' once I got stuck in. 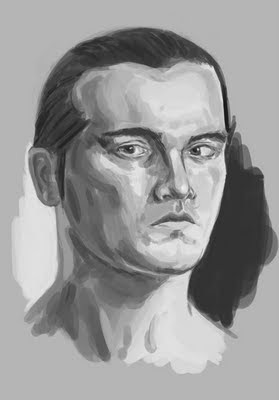 There are some problems with the facial structure/anatomy, due, I think, to the lack of an underlying drawing, and maintaining my position. Chose to stop; the light's changing, I'm running out of time and to be honest, it gets difficult to take it to the 'next' level, and start refining, especially when certain facial features stick out as erroneous! 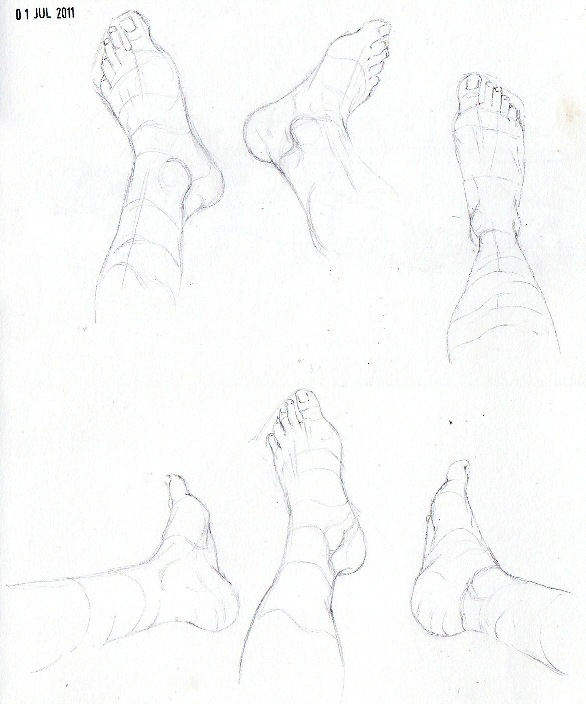 Putting some foot studies to use by looking at my own hooves. Clearly I have no idea what proper plate mail, or even plated armour truly looks like - further research. Lower body too large - those hips do lie. Contrast is missing - image lacks further depth and interest for the observer due to narrow tonal range. 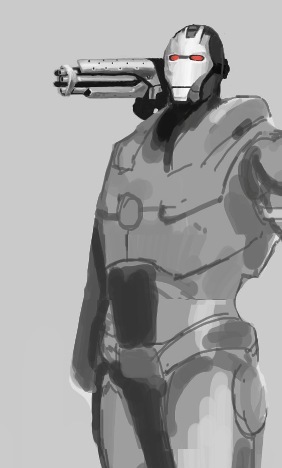 Further crits are more than welcome.